Strawberry Seduction' is part of the Seduction Series which are known for their upright, vase-shaped growth habit, long bloom period, and interesting flowers. 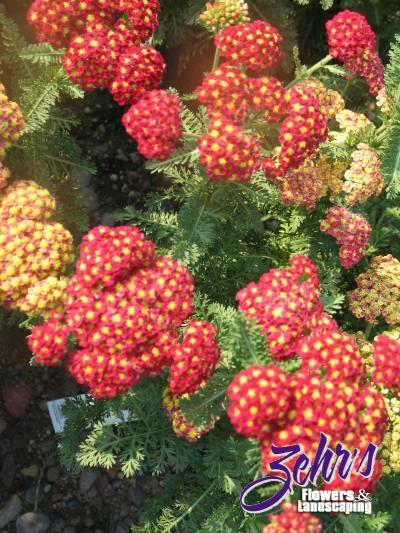 'Strawberry Seduction' produces large corycombs of tiny, velvet red florets with bright gold centers. This vigorous grower has lovely, deep green foliage. Wonderful in fresh or dried arrangements. Attracts butterflies. Drought tolerant once established. Introduced by the Blooms of Bressingham® program.